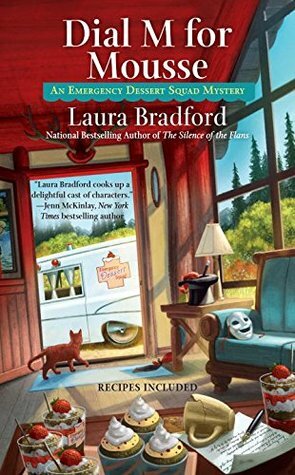 Book three is the amazing Emergency Dessert Squad Mystery series. The dessert delivery business is really picking up for Winnie by this point and they are even asked to make special desserts for a new artists retreat in the area. Winnie takes the time to make a special one for each artist but when she goes to deliver them she instead finds the retreat owner dead on the floor in the middle of the group. She can't help but to get involved though she vows to stay out of it and her eclectic group of neighbors helps her along the way. This book is the perfect blend of mystery, comedy, romance, intrigue, and so much more that will keep the reader hooked until the very last page. This is a must read read culinary cozy mystery series. I loved every single page so I give it 5/5 stars.